In a large zip-top bag, combine flour, salt, pepper, onion powder, and Italian seasoning . 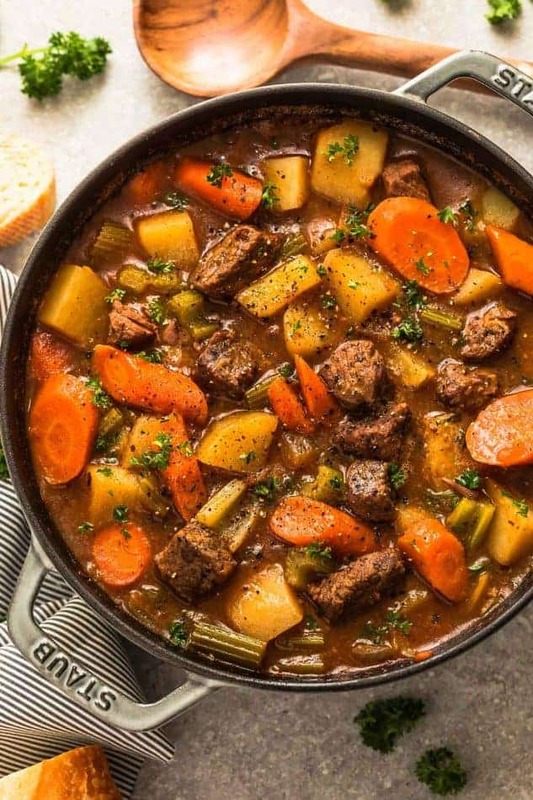 Add meat and shake until well coated..
Add the beef back into the pot along with potatoes, sweet potato, carrots, celery, seasoning, Worcestershire sauce, broth, bay leaf (star anise if using) and stir to combine. 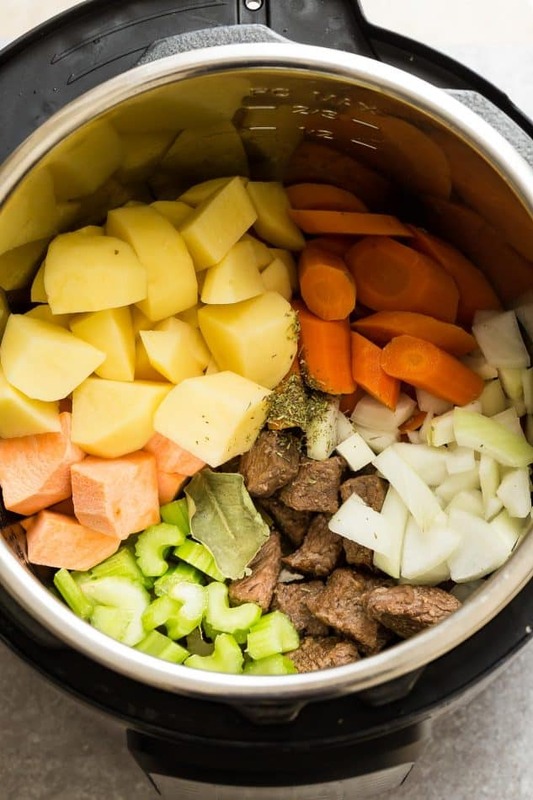 If there is not enough liquid to cover the vegetables, add water - only as much as needed. 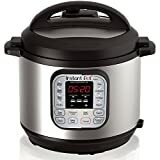 Add the lid on the Instant Pot and set to 20 minutes with High Pressure on Manual mode. Allow the pressure cooker to release naturally for at least 15 minutes. Adjust seasonings with salt and pepper if necessary (discard star anise if used). Serve hot with fresh parsley. 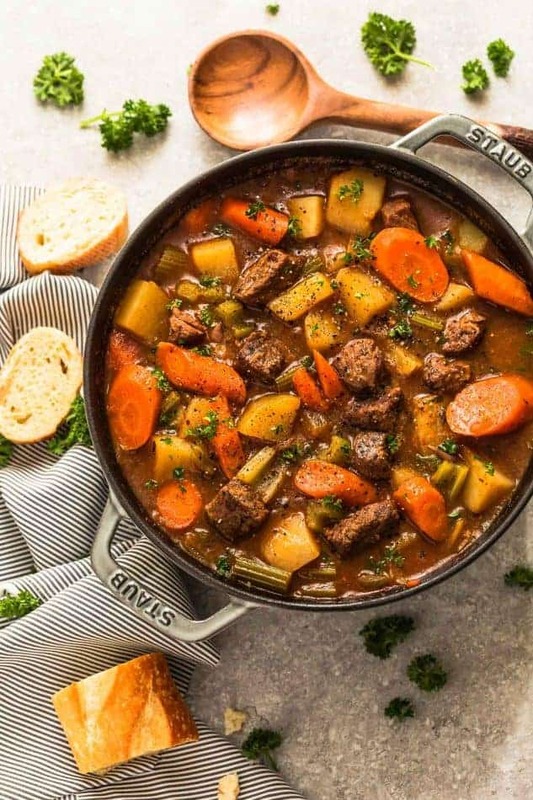 **Optional: To thicken stew: Make a slurry by whisking 2 tablespoons of cool water with tablespoons cornstarch or flour (all purpose, gluten free or arrowroot powder). Set the Instant Pot to SAUTE and allow the stew to come to a boil and thicken up.